I’d like to think that as you read these pages, you’re cozying up to a nice BC craft beer. Maybe you have something a bit hoppy, even dry-hopped. Possibly it’s something a bit experimental, showing off the brewer’s interest in their art. If you’re really in the mood you might be drinking something fairly strong like a Russian Imperial Stout or a Barley Wine. If it’s a bottled product, there may be some yeast still alive, giving it a deliberate second life after it hits the shelves at your favourite retailer. It wasn’t so long ago that none of the above was taken for granted around these parts. Not even ten years ago, regular availability of envelope-pushing, experimental or extreme beers on a BC Liquor Store shelf was a dream, Groups of us BC beer enthusiasts were chartering buses to Washington State bottle shops and bringing back as many boxes of Northwest concoctions as we feasibly could. It was our primary means of buying the types of products we knew were out there, and craved. Not that BC brewers were slackers. Our small cadre of brewpubs and micros, extant since the 80s, was staffed by brewers who knew how to push the envelope, and did so many a time. This was most likely to happen in a brewpub, where the odd adventurous batch could be a way of scratching a brewer’s creative itch. It took a slightly larger set of cahones for a micro to bottle the extreme stuff, because for a standalone bottling brewery whose primary client is the BC Liquor Distribution Branch, there’s a lot more to consider than self-gratification. Back in the late 80s and 1990s, the brewer often didn’t win the argument regarding creativity versus saleability. Hence we had a lot of middle-of-the-road pale ales in BC. This is the story of a brewer who made commercially bottled beer in British Columbia two decades ago, and did it unlike anybody else at the time. He’s a character that didn’t fit the mold then any more than he does now. Some might suggest that he was too unsophisticated or too individualistic to conform and succeed. Either way, he espouses the essence of the craft beer revolution, and by virtue of his dogged homebrewer’s mentality he created timeless products that were ten to twenty years ahead of their market. The story of Bill Herdman, idiosyncratic BC brewer dates back to 1979 in North Vancouver. At that time, 17-year-old Bill had a friend whose father, a banker by day, had a homebrewing hobby by after hours. Bill got his first exposure to the idea of do-it-yourself beer creation when he helped with the bottling. It was just a taste of things to come. Then there was this other friend. 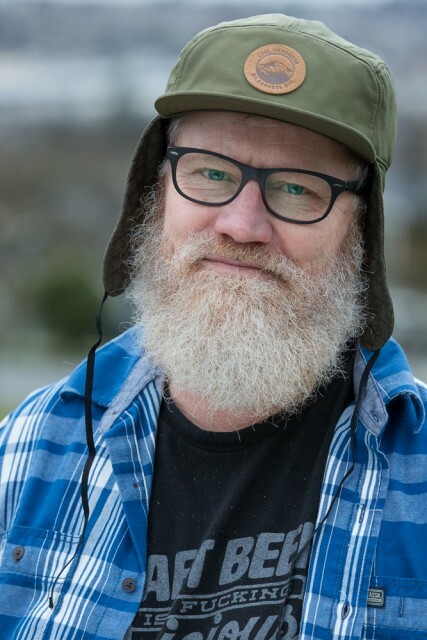 In a story with a few twists, the most singular quirk is Bill’s long-time acquaintance with Gary Lohin, a brewer who needs no introduction to BC beer enthusiasts. Gary was a classmate of Bill’s brother Tom, both a year ahead of Bill at Handsworth Secondary in the upper levels of North Vancouver. They became close enough that when Gary got married the Herdman boys were in the wedding party. From time to time, Gary and Bill would compare notes as homebrewers. Lohin and Herdman’s peculiarly parallel yet juxtaposed careers run as a theme throughout Bill’s story. Bill’s first attempt at his own batch of homebrew took place in 1986. At that time, Herdman says “Gary & I [separately] had our beer kits and both got into all-grain brewing. We were boiling on the stove and doing typical homebrewer experiments. It was hard to get information on brewing”. To remedy this, Bill had acquired homebrew bible The Joy of Homebrewing by Charlie Papazian, and was an avid student. In Vancouver, the general beer scene was of course pedestrian, although the revolution had quietly begun. Bill recalls his excitement when Granville Island’s first lager came out: “that beer was amazing. It was a shocking beer”. He describes a pilsner that, unlike their later Lager, had “an intense bitterness, and a full body; it was a real sandwich of a beer”. South of the border, things had progressed further. 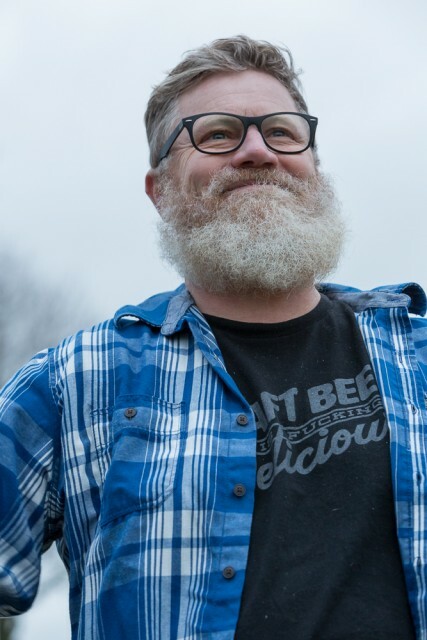 Bill was aware of the US scene; he first attended the fledgling Oregon Brewer’s Festival in 1988 based completely on word of mouth. With no Internet back then, it was up to Canadians venturing down to take a chance and navigate their way to the park in Portland. Little did homebrewer Bill realize that his own beer would be served there in less than a decade. Bill’s breakthrough as a professional brewer came in 1989 with a gig at the legendary Horseshoe Bay Brewing. The groundbreaking spinoff from the Troller Pub was now in its second iteration, founding fathers John Mitchell and Frank Appleton having long moved on. At the time, a chap named David Bruce-Thomas was running the brewery and needed brewing staff. Herdman saw an ad in the paper, called him up and got the job. Unlike the famous but short-lived first phase, when HBB was created as a ‘cottage brewery’ to supply beer to the Troller, the brewery’s second phase was independent of the Pub and its ownership. When Bill joined, Horseshoe Bay was supplying packaged beer to the general BC market, which included bottling until 1995, and then kegs only until its final demise in 1997. Thrown into the fire, Bill recalls, “there were challenges with production. It was quite a learning curve, especially in such a limited place.” Of course, he could always turn around and ask the senior brewer on site for help—or at least he would have, if it weren’t for the fact that he WAS the senior and only brewer. His first professional gig was sink or swim. Horseshoe Bay inevitably had its problems. Asked what he’d do differently today, Herdman feels that there wasn’t much he could have done differently. Bill cared about the legacy of Horseshoe Bay; he feels he appreciated the brewery’s history more than ownership did. As has sometimes been the case during peak waves in the craft revolution, the brewery owner wasn’t really into beer. Bruce-Thomas’ preference was to focus on one flagship product, their Horseshoe Bay Ale. Bill felt there was interest in their other beers and wanted to bring more attention to their Porter and a new product of theirs named India Pale Ale. He also produced a well-accepted Christmas Ale. Herdman says, “I had a lot of contact with the clients back then; they loved the idea of more choices in beer. Today, that’s the bedrock of the business”. Of course that’s an understatement; here and now, in the peak of the revolution, being a beer enthusiast means being a child in a massive candy store. Experimentation and variety are a foundational differentiator and an essential element that separates true craft brewing from commercially motivated brewing, be it by large or small operators. The writing was on the wall when, creative as ever, Bill felt restricted by management’s conservative direction. 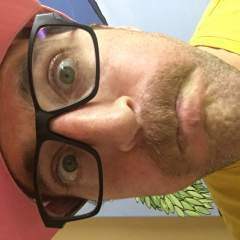 As Bill says, “there’s a side of you, as a brewer, that wants to do what you want to do.” A year and a half after landing his first professional brewing job, Herdman was gone. However, it wasn’t to leave for another brewing job, or to drop out of the industry; it was to study at North America’s most prestigious brewing school. In 1872, a German immigrant named John Siebel converted his recently-founded Chicago brewing research firm into a school. The Siebel Institute of Technology, the first of its kind in the new world, naturally became the leading force in American brewing education, surviving prohibition with creativity and remaining relevant to this day. Herdman found Siebel in a brewing magazine, and reasoned that it represented one of the few steps forward for a brewer. A formal education in brewing wasn’t a particularly common career path for a BC beer enthusiast back then. For one thing, travel was required; Kwantlen Polytechnic was still 25 years away from launching their current brewing science program. Bill, in typical fashion, was undaunted by this. As he says, “there wasn’t much else at the time in North America; UC Davis [near Sacramento CA] was really expensive”. John’s great-grandson Bill Siebel, eventually Chairman and CEO, was the fourth generation in the family to lead the college. Young Herdman thought nothing of calling Chicago and speaking directly to the man whose name was on the school. After talking to Siebel he packed up and left to spend 6 months in Chicago. Asked how he came to make a life choice based on a career as frivolous as brewing, he smiles; “there was never really a question about it. I tend to be pretty impulsive about things like that”. Readers, I’m sure you’ll agree that when drinking capacity impresses a brewer, it has got to involve a truly unusual level of alcohol tolerance. Back in Vancouver with Siebel certificate fresh in hand, Bill found it difficult to get any work brewing. Victoria’s scene was well ahead of Vancouver’s by this time, but Bill wanted to stay on the mainland. Applying at all the available local plants, he couldn’t even get a night shift at Shaftebury. 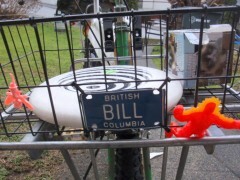 Around this time Bill had a friend named David Philp who lived in an older Kitsilano basement suite. They did a bit of homebrewing there, with Bill of course taking the lead. In that basement were 8 refrigerators claimed from a recently-renovated apartment building down the street. Since the rent included utilities, the boys had free electricity to power, as Bill puts it, “temperature-controlled lagering and storage” to their heart’s content. Inevitably, given Bill’s certification, the hobby became more serious in intent. Gary Lohin by this time was employed at Okanagan Springs in Vernon BC. The dominant new beer in BC was their Pale Ale. Bill felt that the product had started out really well, but over time was lacking. He knew he and David could make something like that, in the same style, but better. With Bill unable to find other brewing work, the boys took matters into their own hands and decided to start up a brewery. In 1993 Bill Herdman and David Philp started creating test batches and branding materials for a new brewery named Tall Ship Ales. A little-known fact: Tall Ship’s first planned location was at 221 West 1st Street in North Vancouver, right next to a pub named Sailor Hagar’s. At the time, Hagar’s was a bar, not a brewpub. Bill and David approached the building’s landlord and got a handshake agreement to begin operations. They even completed the formal application process at North Vancouver city hall and were approved in council. “Talk about naivety” Bill says, “we went to the owner of Hagar’s and said, ‘this’ll be great: we’re going to open up a little brewery on the same block'”, thinking that he’d be their best client. He wasn’t so responsive. Sailor Hagar’s was about to start brewing its own beer, with Bill’s longtime friend Gary Lohin in the role of brewmaster. The landlord quietly backed out of the agreement, and the boys had to look for a different home base. Rather than looking toward the big city, they turned their eyes northwards up the Sea to Sky Highway. David and Bill borrowed the money and got started. The resulting brewhouse was basic but nice, featuring a 10 hectolitre direct gas-fired Ripley Stainless system, with a mash/lauter tun, hot liquor tank and the essentials. They launched with their flagship beer, Tall Ship Ale, and started bottling in 1994. There wasn’t really anyone in BC they were emulating at the time. Without anything near the level of education in the local marketplace there is today, they’d get their inspiration from south of the border. After the acceptance of their flagship Ale, Tall Ship branched off with a Rasberry Cream Ale, an IPA, and a dark quasi-stout known as Black Ship Ale. Lohin recalls how Bill pushed the envelope with his recipes. “All his beers were super-alcoholic”, Gary muses. “He had an 8% raspberry beer.” Yes, actually the Raspberry Cream was 8.5% ABV, an insane number for a standard bottled fruit beer then and now. Bill was an avid reader and fascinated by the history of beer. Right from the beginning, he found the story of India Pale Ale to be the most compelling; a beer born of excess, IPA involved taking an already-finished strong beer and putting it over the top with additional hops. Today, IPA is the cheeseburger of North American craft beer, available everywhere. Back then, the BC public hadn’t heard of it, unless they knew of a Nova Scotia beer named Alexander Keith’s. North American brewers first based their IPAs on the historic English tradition. Problem: the colonial-era product had long since died off, and nobody alive really knew what it originally tasted like. Early US craft brewing leaders like Fritz Maytag and Bert Grant came up with hoppy ales that blazed a trail for acceptance of bitter styles; these styles would eventually morph into our distinctly bold West Coast IPA. Bill’s version of IPA was a strong beer, in the 7.5% ABV range with 70-80 IBU. It was still fairly balanced, with a malty, biscuity quality from a strong core malt base with Maris Otter and caramel malts. It had more colour than the average IPA of today. They used mostly UK hops such as the classic East Kent Goldings, in whole hop plugs, meant to dry-hop a cask. Bill reports, “we dry-hopped a lot; every beer we did was dry hopped except for the Raspberry”. The importance of IPA to Tall Ship’s reputation and legacy is demonstrated by the fact that it took over from Ale as their biggest seller by 1997. It is mind-boggling that a tiny BC company was selling IPA as their number one packaged beer to consumers back then. Bill became recognized as an IPA guy in the brewing fraternity. According to Joe Wiebe, James Walton of Storm Brewing waited a “suitable mourning period” after Tall Ship’s demise before marketing his Hurricane IPA. Gary, by then up and running at Sailor Hagar’s, was also making Bengal IPA (a brand currently brewed at Howe Sound and served at Hagar’s to this day). Unlike Gary and James, Bill had to sell a large percentage of his products in bottles directly into the retail market, requiring the consumer to buy-in without interaction from serving staff. How anybody but beer geeks ever bought a case beats me. Of course, these days Gary is known for eventually breaking down the commercial IPA barrier with his Red Racer IPA, which has become a de facto standard in the BC packaged product market. Bill notes that Gary really took the ball and ran with it after moving to Central City. With no hesitation he says that Gary’s IPA is probably the beer most regularly purchased for the Herdman household. With similar pluck, Bill decided to bottle a product called No. 1 Barley Wine, something that was rare at the time. Gary was also in the process of creating BC’s most legendary barley wine, Thor’s Hammer, down at Hagar’s. There had been beers of that style in on the West Coast for some time, from Anchor and Sierra Nevada among others. Those ground-breaking beers of the 70s and 80s were in the 8-10% ABV range. Tall Ship lauched theirs at 14%. How did they manage this feat in a small brewhouse? No. 1 was bottled in 187 ml champagne bottles, marked with the date and capped with gold foil. They sold for $5 each, an exorbitant price at the time for a small bottle; a true collector’s item now [Ed. Note: J. Random still has a 1995 bottle in his end-of the world collection]. They sold well enough that David and Bill started making Barley Wine year round. The activity described above may not sound especially impressive to the professional brewers or the more advanced homebrewers of today. Besides Bill and Gary, perhaps there were a number of other BC brewers quietly making beverages like this for home use or sale on premises. However, looking back at what was going on in terms of bottled products available to the public in BC liquor stores two decades ago, it’s difficult to find ways to compare. In Vancouver, easily the first brewery that comes to mind is Storm. Another pioneer well ahead of his time, James Walton followed in Bill’s footsteps to some degree. Bill remembers James visiting Tall Ship to pay homage and learn. James, largely through necessity, ultimately stayed small and avoided the often-fatal challenges that businesses face when trying to expand and meet demand. He was able to hang on until the market finally caught up to what he’d been doing all along, and now he has the priceless prestige of being a pioneer that came through two decades of independent nano-brewing intact. Bill would have loved to have produced an ongoing series of brewing Brainstorms, the way James is now well known for. But for a packaging microbrewery like Horseshoe Bay or Tall Ship, it wasn’t as simple as just serving product from a tap (that would have been illegal, remember) or filling kegs; each time you create an innovative bottled beer you had to have more labels, more SKUs, and your keg clients had to change taps more frequently. Throngs of East Van growler owners were two decades away. For better contemporary comparison, a decent source of reference is my copy of Michael Jackson’s Pocket Guide to Beer, 6th Ed. 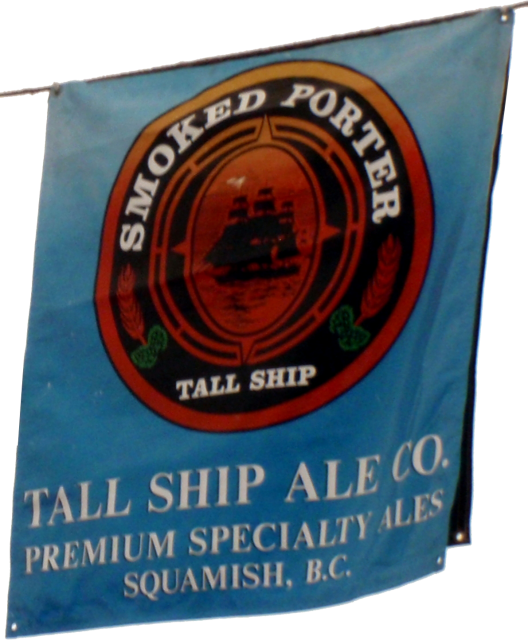 (1997), in which he lists Tall Ship’s IPA, quasi-stout known as Black Ship Ale and a Smoked Porter (giving the latter his “worth seeking out” stamp of approval). Right next to the TSA listing is Storm, probably the local brewery closest in spirit to Tall Ship. Jackson was impressed by James’ Continental Coffee Ale, with arabica at end of boil and in secondary fermentation. He also lists Hurricane IPA, which considering James’ remarks as earlier reported by Joe Wiebe must have barely made the scene at the time of publication. Other BC breweries listed include the aforementioned post-Bill Horseshoe Bay (with a moderate rating), Bowen Island, and other more familiar names that have survived to this day. Spinnakers got good marks for an Eau de Tabernac, a commendably ambitious product describe as a “medicinal-tasting beer made with maple syrup and aged in the style of Rodenbach”. However brewpubs weren’t yet licensed to sell bottles via the LDB, so Spinnakers didn’t have the burden of packaging and distribution. The listing for Granville Island, by that time owned by Andrew Peller Wines and with over a decade of brewing experience, includes a Tenth Anniversary Ale and an Island Bock, fairly advanced offerings for the era. But nothing pushing the envelope like Tall Ship. Jackson’s reviews for Ontario breweries included Niagara Falls Brewing, who had an Olde Jack billed as an extra-strong bitter, which Jackson hints might have been barleywine-ish. Also noted is their groundbreaking 1989 Eisbock, the high-alcohol inspiration for the early 90’s macro “ice beer” trend. At 8% ABV, it was barely in Herdman territory. Really, the only reliable source of envelope-pushing competition in Canada during the period was Quebec, home to Belgian-Franco-Flemish inspired brewing traditions that often called for strong flavours and high ABVs. . Tall Ship may not have been the most well-known brewery in BC, but it wasn’t without its admirers, including outside the province. In 1997, Tall Ship was invited to attend Oregon Brewer’s Festival, putting them in rare company as one of the few Canadian participants in OBF history. Their banner still proudly hangs in the rafters of OBF’s North tent each July. For many years there were no Canadian breweries at OBF, until the streak was broken in 2015 by Central City with their US-branded ‘Red Betty’ IPA. OBF inclusion is yet another instance of the intermittent synchronicity betwixt the careers of Herdman and Lohin. Things weren’t easy in Squamish; Tall Ship needed to sell and deliver beer to Greater Vancouver to survive. Unlike the tasting lounges of today, Tall Ship had no foot traffic, and often had no local accounts. All product was shipped into the city via a black cube van described as “the famous beer truck” on Tall Ship’s 1998 website: “It was often mistaken for an entire fleet of Beer Trucks because it went everywhere.” According to Bill, “deliveries were a logistical nightmare”. “I got fed up with trying to sell kegs to licensees. Back then, it wasn’t unusual to have to perpetually give away one in four or five kegs free. They’d ask for free kegs to start with” he notes. Sometimes bars would sell the beer, pocket the money and when Tall Ship showed up to pick up the kegs, they’d get a “sorry, no thanks” and no money, period. Typically, one of their few Squamish success stories had a bittersweet outcome. Tall Ship was doing well with the Garibaldi Hotel beer store, selling directly to them. However, once approved for general distribution by the LDB, they could no longer sell to any other outlet; all former customers had to buy their product via BC Liquor Stores. This meant that they finally acquired shelf presence in the Squamish liquor store, but lost it in their main beer and wine outlet. However, they did find it much easier to sell directly to the BC LDB; apparently shelf space wasn’t an issue then (just a tad different situation exists now). The general distribution arrangement meant that they’d ship to the distribution centre, and any liquor store could order from there. At the time, there weren’t many other commercial brewers for Bill to hang out with the way there are today. Eventually Howe Sound opened, but relations between the two Squamish breweries weren’t especially close. New brewers like Iain Hill and James Walton sometimes came up to Squamish for a visit, as did Gary. For any brewers just starting out, it probably seemed like Bill and David were living the dream. Of course, in hindsight, it’s not all a dream running a small business. “There were times when I was literally working around the clock, doing 8-10 batches a week, with nobody to help except with the bottling” says Bill. A side note: after this interview, I was fortunate enough to meet one special Tall Ship recruit, somebody who’s in Herdman’s life to this day. Bill’s eventual wife Shannon was Tall Ship’s only female team member. Shannon, who still works in Squamish, explains with chagrin that she thinks she was hired as a long-sighted pickup move. For a variety of reasons, the Tall Ship left dock for her final sailing in 1998. Like many breweries of the 1990s, this shooting star burned brightly before fading out. After the Tall Ship days, Bill retreated from brewing for a while. Since then, he’s bounced around. For a while, Bill was back home in North Vancouver, brewing at Green Leaf. Joe Wiebe documents Bill’s creativity in a September 2014 blog post as follows: He’s on the cutting edge again, brewing mixed-fermentation beers and brett IPAs (which use funky Belgian yeast rather than typical ale yeast) and creating crazy contraptions such as a cider press powered by a stationary bike—with the juice used in a sour apple saison. 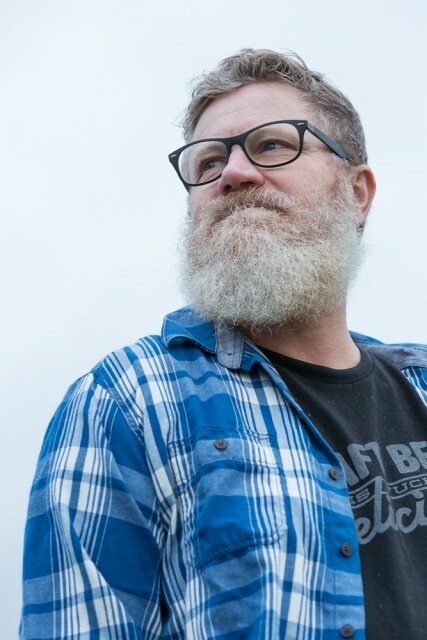 More recently he was associated with Big River in Richmond, before their recent changeover and relaunch as BRB Brewing Co.
Now, with a young son and daughter facing special challenges, Bill and Shannon juggle a tough schedule, making Bill’s next move in the beer world unclear. 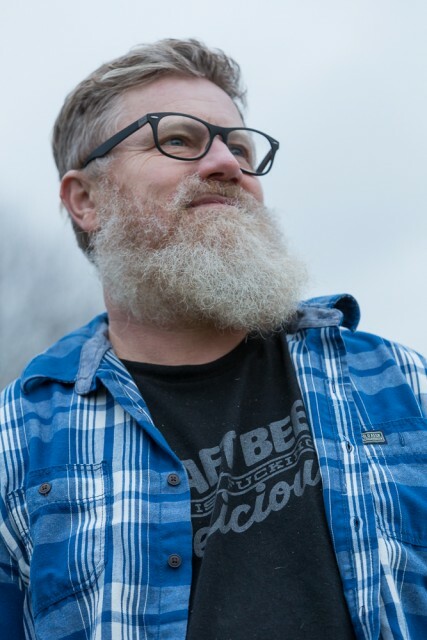 Herdman, who got his first job as a commercial brewer before some of the current generation of BC brewers were born, is cagey about his future in the beer world. However he allows that sooner or later the call of the mash tun will beckon. People ask him, “how did you get into brewing?” and Bill responds “brewing got into me”. 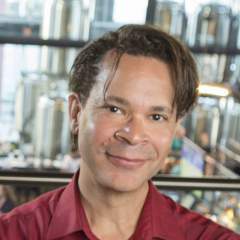 Herdman is a great evangelist for individual brewing. After the interview he tried to convince me I’d start homebrewing one day too. He cheerfully admits, “I try to get anybody into it if I can”. So how did he get the nickname Wild Bill? “Maybe because of my affinity for wild fermentation and wild yeasts”, Herdman says coyly. As for the beard, Bill says, “since my daughter was 3 or 4 years old, she’s been in charge of it”. When she was about five, she told him to shave it off, and he did. Since then, it’s come and gone. With a full beard a requisite in both the brewhouse and tasting room today, young brewers and hipster beer nerds alike would do well to show respect to Herdman’s venerable whiskers. All in all, Tall Ship Ales lasted for 5 and a half years. 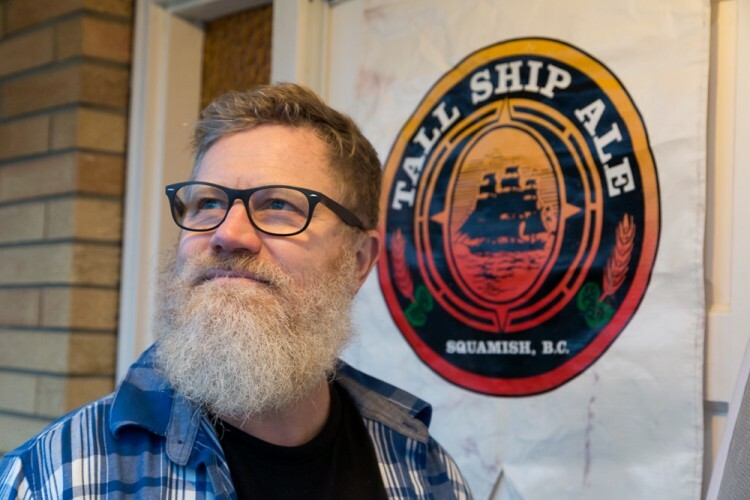 According to the British Columbia Beer Guide, Tall Ship was “An outfit that in many ways embodied what a craft brewery should be all about – bold, unique beers made with care and attention.” I’d suggest adding “stubborn determination and sincerity” to that analysis. And a brewer who came along a couple of decades before most of us were ready for him. Wow, great article. I am just now getting a feel for BC’s beer-related roots and it’s amazing to me how small and interconnected our craft beer industry really is. It’s a bloody family tree of brewers and innovators; dove-tailing and collaborating! Thanks for the history lesson of my own back yard, Dave.